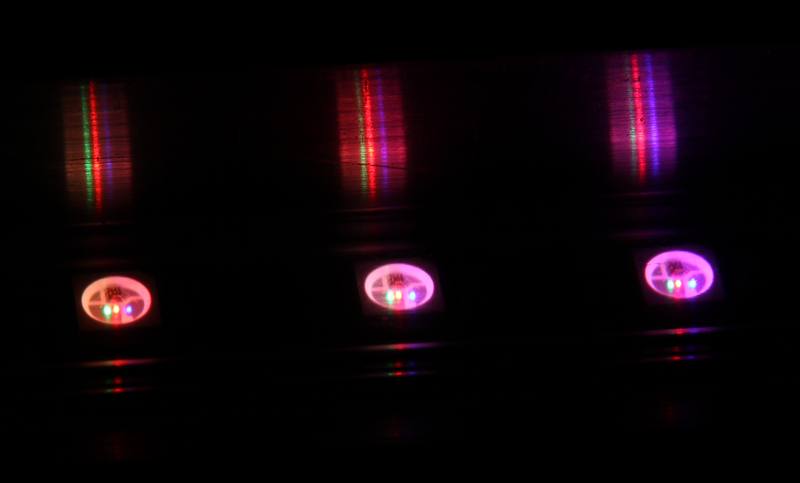 FlowPaw now controls addressable LED strips! We have recently added a new feature to FlowPaw so that it can control addressable LED strips. Using the new LED Strip module you can use the pwm pin on any claw to control a 5V 60 LED strip of LEDS. 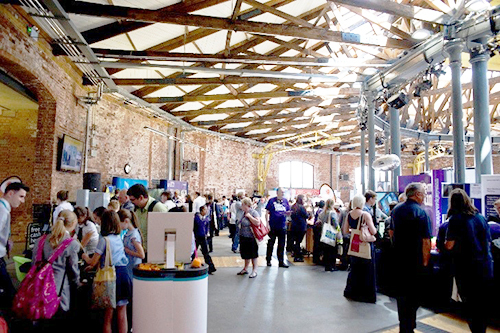 DSPRobotics were invited to present FlowPaw at the 2015 BigBang fair at Derby University this week and exhibited on the IET stand (Institute of Engineering Technology). The show was well attended with several hundred students and teachers and FlowPaw was popular as ever. 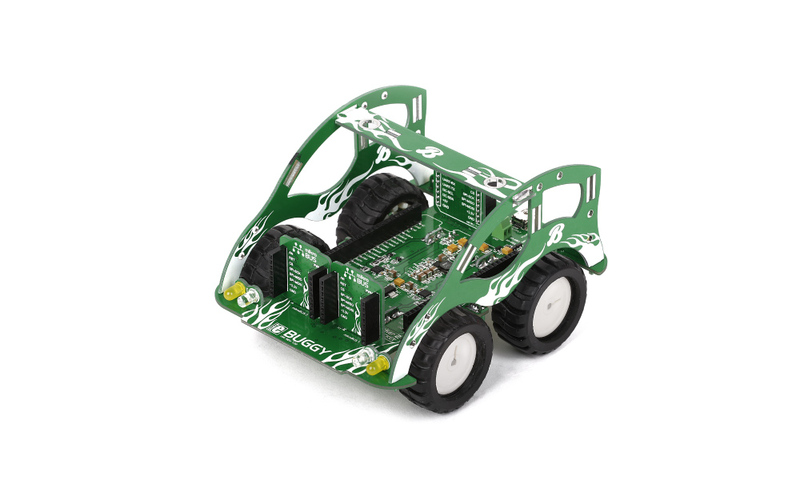 Students were able to have a hands on experience with FlowPaw and learn some simple coding, we also showed how to make computer games, and control a robot arm and also drive the new Buggy from MikroElektronika that was also controlled via FlowStone. With the advent of the ‘Internet Of Things’ (IOT) here at DSPRobotics we have created StoneCloud – a data driven IOT cloud for your FlowPaw hardware. 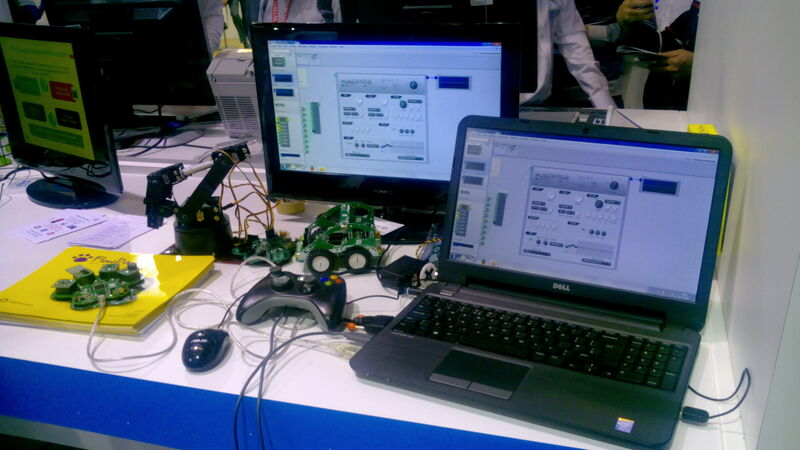 This enables you to view and interact with your FlowPaw hardware from any device anywhere in the world! Once set up your sensors are displayed on the StoneCloud under your own unique URL and can be view from your browser (PC, MAC, Phone or Tablet). email us for more details.. 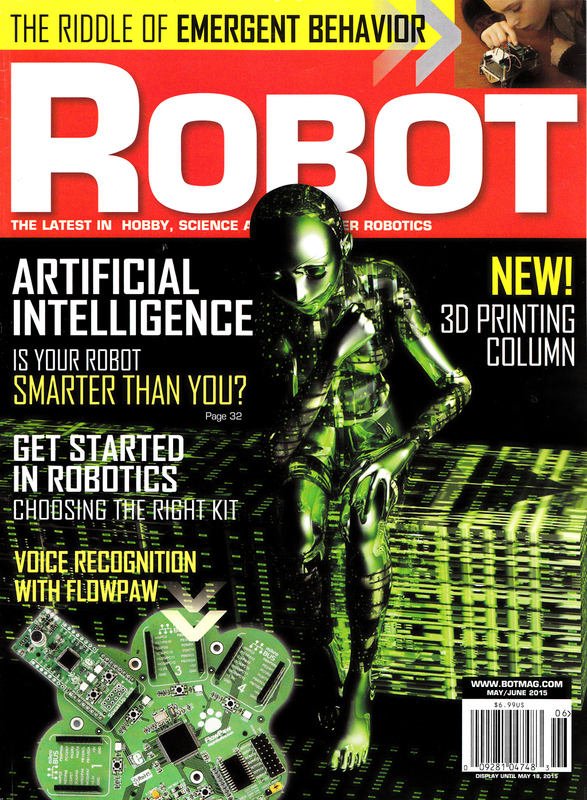 The new FlowPaw board from DSPRobotics was featued as the cover story for the latest edition of Robot Magazine in the US. 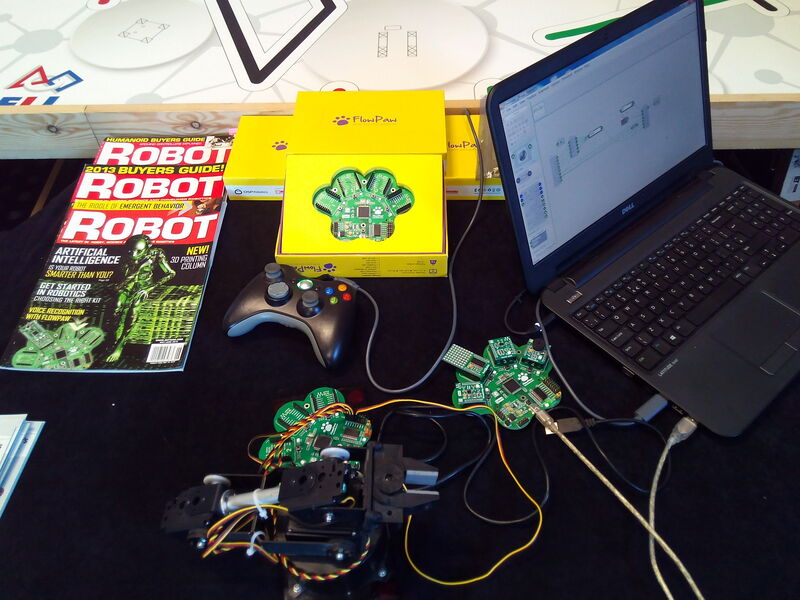 This marks the 18th FlowStone workshop fetured in the magazine so far, where we show beginners how to code robotics using the FlowStone programming Language. FlowPaw was on the BBC today! 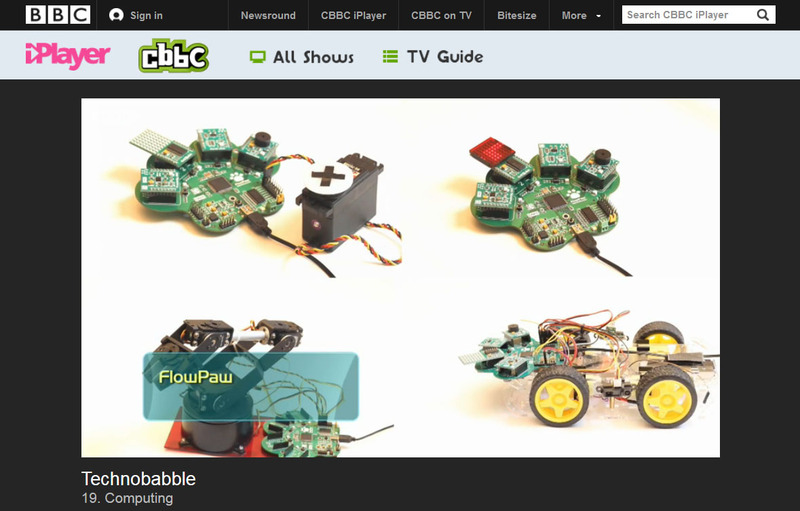 Watch on the BBC iPlayer..
DSPRobotics CEO Carl Owen explains a little about the FlowPaw education board, based on the STM32 Microprocessor using the MikroElektonika Click Boards, and how it fits to the market. 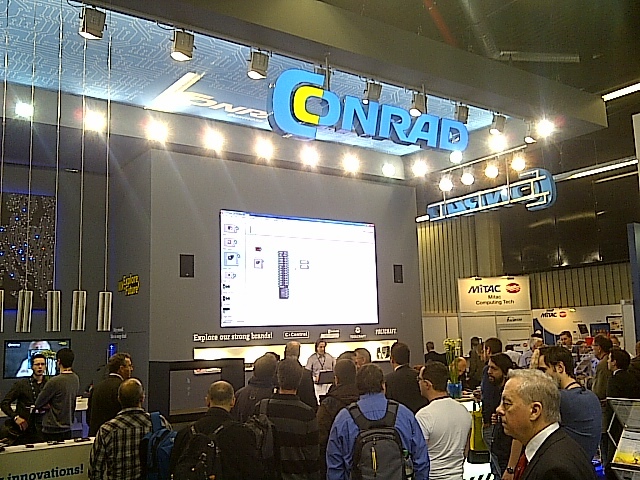 DSPRobotics were recently guest speakers at Embedded World in Germany on the ST Micro and Conrad stands, where they showcased the new FlowPaw Microprocessor board (based on STM32) and FlowStone programming language aimed at education and rapid prototyping. 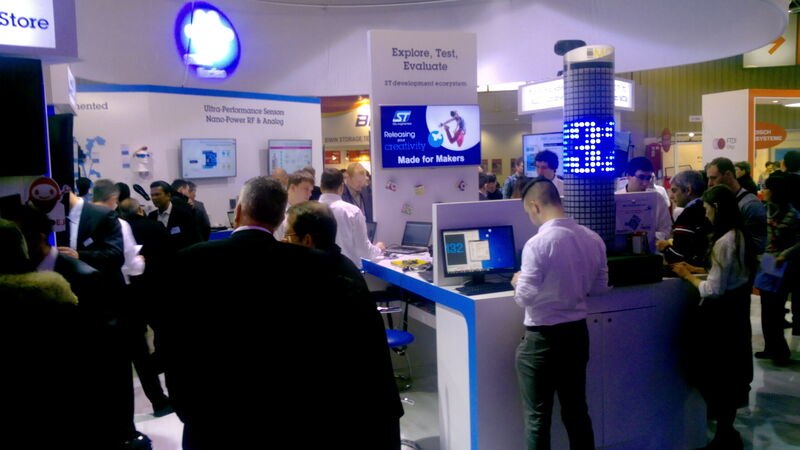 We just returned from Embedded World in Germany where we were showing the FlowPaw to the world..
What was interesting this year was the number of people coming on the stand looking for programming tools for the classroom that just worked (having failed going down the Raspberry Pi & Arduino routes). There were quite a few shocked faces when they saw FlowPaw for the first time! 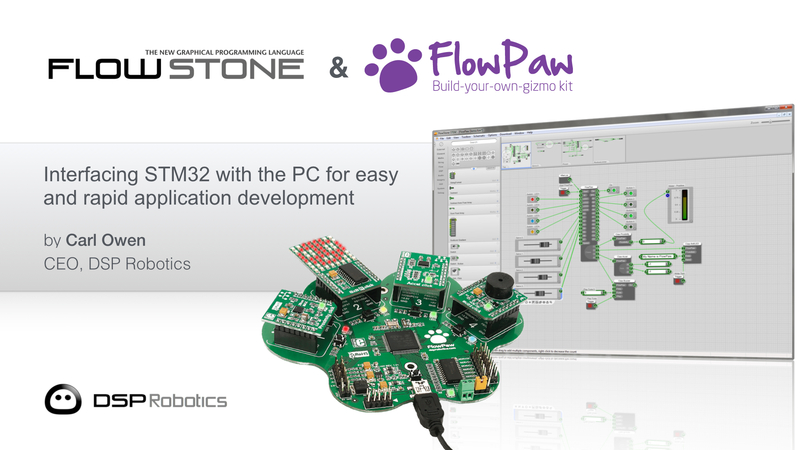 Mouser Electronics Inc. now selling FlowPaw! MaGiK on Happy Birthday – FlowPaw! 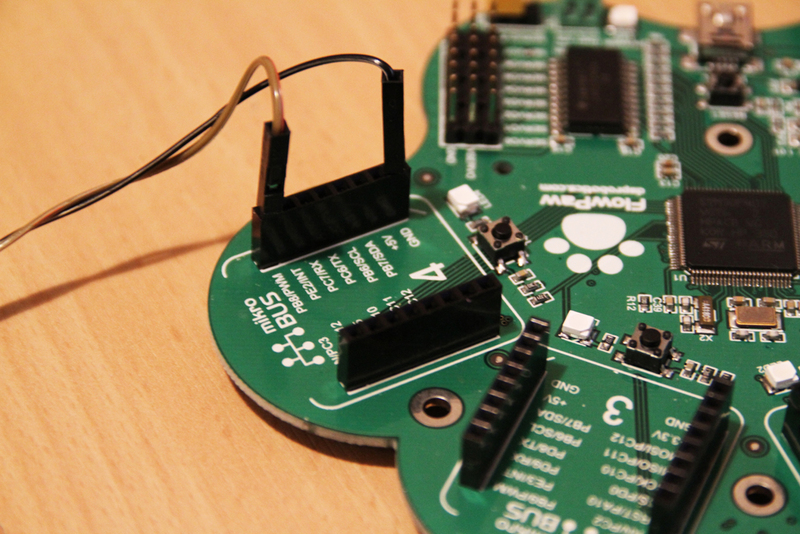 MaGiK on Mouser Electronics Inc. now selling FlowPaw! 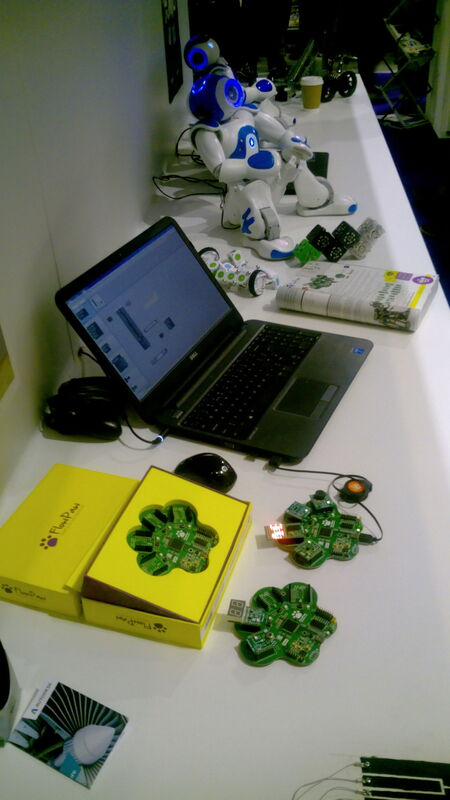 MaGiK on Conrad launch new German IOT kit based on FlowPaw!